Michelle Parker went missing on 11/17/11 in Orlando, FL. Parker vanished on the same day following the airing of “The People’s Court” episode that she and her former fiance, Dale Smith, appeared on arguing over a lost engagement ring. Also according to reports, the two had quite a rocky road and violent past between Parker and Smith. Michelle Parker was last known to be alive when she was dropping off her twin children at Smith’s condo near Goldenrod Road and Lee Vista Boulevard in Orlando. Dale Smith was named as a suspect in her disappearance, but he was never charged. As aspect of a instruction exercise, Orlando Police Department’s search-and-rescue group combed a huge field Friday for clues about the disappearance of a woman reported missing far more than three years ago. 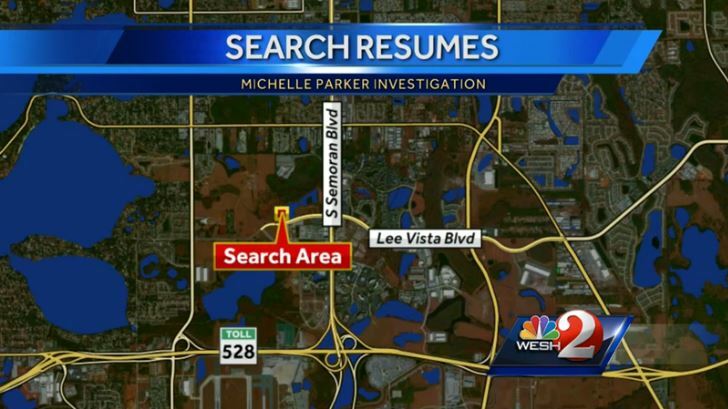 Investigators in the disappearance of Michelle Parker searched in the location of Lee Vista and Semoran Boulevard, close to the Orlando International Airport, for about 3 hours. Parker vanished in November 2011 just after dropping off her young twins with her ex-fiancé, Dale Smith. Police have previously searched the exact same area just after her cell telephone was discovered not far from the region. Sgt. Wanda Ford, Orlando police spokeswoman, mentioned absolutely nothing considerable was discovered in the course of the search. If anyone has any information regarding the case of missing Michelle Parker , please contact the Crimeline at 1-800-423-8477.